This Thursday evening on the HPANWO Show: the return of Dr Nick Kollerstrom, a science historian and former research fellow at the University College of London. He is a leading expert on the politics of terrorism. He has just published a new book called Chronicles of False Flag Terror- a European Perspective, see: http://moonrockbooks.com/product/chronicles-of-false-flag-terror/. 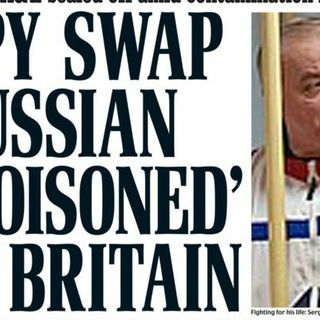 We discuss the strange case of the Skripal poisoning. See here for Nick's previous appearance on the HPANWO ... See More Show: https://hpanwo-radio.blogspot.com/2017/09/programme-249-podcast-nick-kollerstrom.html. Tune in at 8 pm, UK time, on Thursday the 7th of February. Please go to this page to listen: https://www.spreaker.com/user/benemlynjones. To talk to the host and other listeners, join the HPANWO Radio chatbox here: https://www.wireclub.com/chat-rooms/HPANWO%20Radio.